Technofast Industries have a wide range of Hydraulic Nuts purposely designed to provide a safe and efficient way to ensure reliable and precise tensioning. A high pressure, high performance, hydraulically operated bolt tensioning device that can be quickly and easily fitted and used with a variety of Hand Pumps, Electric or Air Hydraulic Pumps. Ideal for use in high temperature applications, the EziTite TR Hydraulic Nuts are manufactured using a patented metal to metal seal design to allow for use in applications up to 550 degrees celcius and higher. 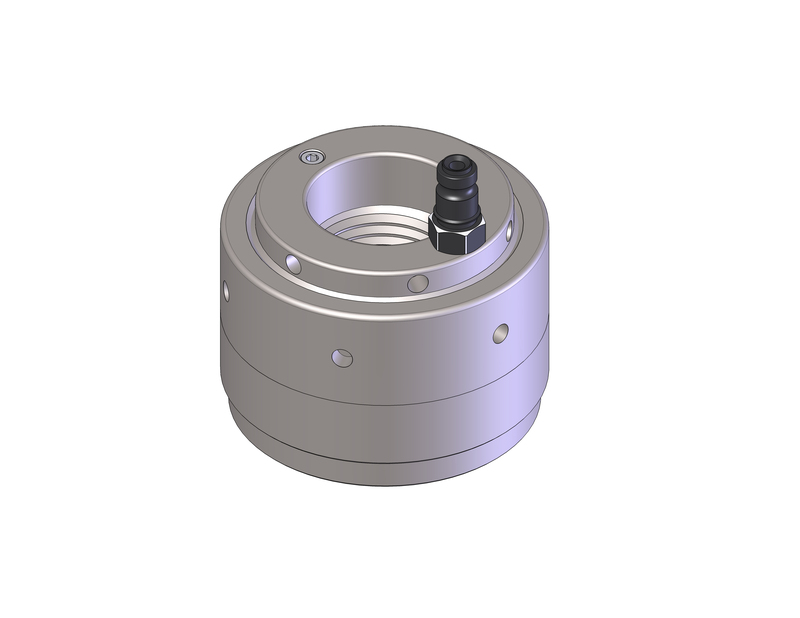 The TR Hydraulic Nut also features a compact design for tight confined applications and a secondary backup release mechanism. Improved safety on the job. Gives reliable and precise tensioning. Fast to fit and remove. Ideal for limited or problematic spaces. Technofast Industries have successfully designed and manufactured the EziTite Hydraulic Head Nut System to replace standard mantle Head Nuts for use on Gyratory Crushers. The new design protects operators from strike or shrapnel injuries commonly occurring when hammering tight the standard mantle head nut. Greatly improves downtime and maintenance problems. The EziTite Hydraulic Clamp Nuts are the modern, safe and efficient way to ensure precise tool clamping replacing conventional torque-loaded threaded nuts to make shaft tensioning a simple, efficient and safe hydraulically assisted operation. The EziTite Clamp Nuts are manufactured in a standard range to suit thread sizes from 50mm to 300mm. Other sizes are available upon request. Positive locking with mechanical ring. Replaces lug wrench and hammer method. Increases worker safety – decreases injury potential.